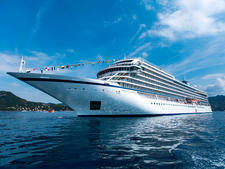 Viking Sun, the fourth in Viking Ocean Cruises' largely identical series of cruise ships, offers the same standard of excellence found on its fleetmates. Viking Sun, like its brethren, is a divine home-away-from-home. All staterooms have private balconies. Decor is soothing in neutrals with lots of Nordic touches in the decor, ranging from the art collection to many cozy nooks meant to inspire relaxation. The spa offers Nordic-style services that reflect a passion for wellness. 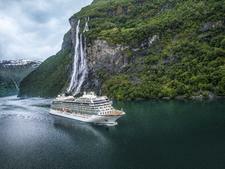 What also sets Viking Ocean Cruises apart from competitors, like Oceania and Azamara Club Cruises, is that it offers one of the most inclusive cruise experiences at sea. Wi-Fi is complimentary to all. Soda, beer and wine are freely poured with lunch and dinner, at least one shore excursion in every port of call is included in cruise fares and restaurants charge no service fees. The spa facility is open to all, without charge (though, of course, you can opt to purchase treatments). Other money-making venues you'll find on cruise lines -- like casinos, onboard photo studios or private pool areas -- aren't found on Viking Sun or any other ships in its fleet. The ship does have a few notable differences from its older fleetmates. Viking Sun is the first vessel in the fleet to host a full world cruise (its first, a 141-day trip, set sail in early 2018), so Viking made some tweaks to cabins, particularly in maximizing space with the storage needed for a multi-month cruise. The other notable change you'll see from the line's first ship in the fleet is an expanded fitness facility as a result of demand by Viking's passengers. Fleetwide, entertainment and enrichment have improved dramatically in depth and substance since the first ship, Viking Star, originally launched. In addition, though the blend of dining options was just right from the start, the company has invested in improving quality, tweaking menus to reflect regions cruised and expanding its array of healthful options. We love that the updated shore excursion menu, regardless of itinerary, now reflects the desires of many of its passengers by offering more active and cultural tours. That's about it. When designing Viking Star, its original vessel, the cruise line got so much right it hasn't needed to make major alterations. Plus, the company does not want change for change's sake. Its goal is to create a fleet of identical, well-designed ships that feel more like intimate boutique hotels than cruise vessels. Travelers are then able to place more focus on the destinations they're visiting than on the ship itself. Still, after a long day of exploring, it feels comforting to come home to such an inviting ship as Viking Sun. 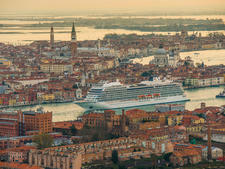 Passengers aboard Viking Ocean Cruises are mainly 55-plus, though the line also has plenty of appeal for active, destination-focused, adult travelers of any age. The line attracts customers from the U.S., Canada, Australia, New Zealand and the U.K. It does not market the experience to families, and kids under the age of 18 are not permitted onboard. Cruise Critic’s professional photographers and our extraordinary community members have taken 1,355 pictures of Viking Sun. When you visit our photo galleries, you can be assured that what you see is what you get. On Viking Sun, the dress code is relaxed casual -- varying only from day to night. During the day, passengers are very casual, wearing shorts and T-shirts, jeans, sundresses or khakis. Bathing suits can only be worn by the pools. At night, folks dress up -- a little bit. Shorts are not allowed, but casual slacks and open collared shirts for men, and breezy dresses and skirts for women are common. Formal garb -- tuxes, suits, long gowns -- are never required. 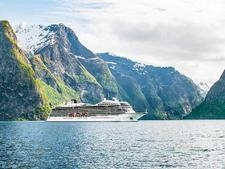 When Viking launched its ocean cruise line, it adopted an inclusive policy that is already popular with its river company. Cruise fares include a free shore excursion in every port of call (optional, extra-fee tours are available too); complimentary Wi-Fi for all passengers; and beer, wine and soft drinks that are served, no-charge, at lunch and dinner. There are never charges for dining in specialty restaurants (except for The Kitchen Table, a combo culinary shore excursion/gourmet meal). Self-service laundry is also free. Tipping is not included in your fare (except for passengers from Australia and New Zealand). Viking will charge US$15 per person, per day, to your shipboard account to cover gratuities for restaurant and hotel staff. Tipping in the spa isn't covered; you'll be given an option to tip when you sign out. Also, tips for tour guides aren't included. Passengers can tip guides and drivers in cash. A 15 percent gratuity is added automatically to beverages purchased separately (not using the Silver Spirits drinks package). 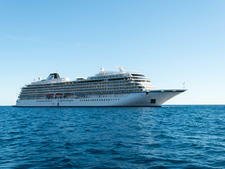 The ship's Silver Spirits package is available for US$19.95 per person per day (including 15 percent gratuity).